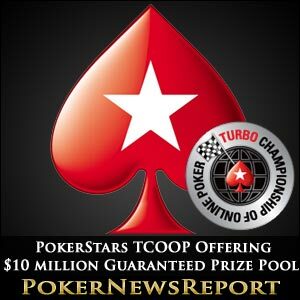 The wonderfully exciting PokerStars Turbo Championship of Online Poker (TCOOP) has started. 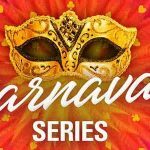 The much-anticipated online poker championships kicked off yesterday with four events, from a $22 buy-in No-Limit Hold’em six-max tournament that guaranteed $200,000 in prize to a $134 buy-in No-Limit Hold’em Knockout event that assured players of sharing in a minimum of $250,000. 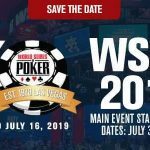 There was also a third No-Limit Hold’em event, costing $33 and providing a guaranteed $100,000, while Omaha fans had the chance to participate in a $50,000 guaranteed No-Limit Hi/Lo version of the world’s greatest game. 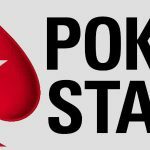 The inaugural TCOOP runs until Sunday, January 29, so there is still more than enough time to sign up for PokerStars, where you will receive up to $600 in bonus money from your first deposit. 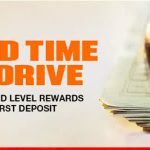 An incredible $10 million has been guaranteed in prize money by PokerStars across the 50 hyper turbo and turbo events, with buy-ins beginning at just $5.50 and climbing up to the $2,100 required to play in the No-Limit Hold’em High Roller tournament on the final day that alone assures a prize pool of at least $500,000. But it’s not just Texas Hold’em that is represented here, with the schedule finding space for fans of Omaha poker, as well as H.O.R.S.E. Poker, eight-game mix and Stud. The penultimate event of the TCOOP arrives on January 29, when a massive $1,500,000 is guaranteed from the $700 buy-in No-Limit Hold’em main event, while the last tournament is a $215 buy-in Hyper-Turbo event that’s possesses a $300,000 guarantee. Don’t despair, though, if your bank balance is not quite up to meeting the buy-in for the larger events as satellites run every day – so providing everyone with the opportunity to be rewarded and remembered as the first TCOOP champs.